Born 5th September 1869. Died 10th May 1936. [Qualtrough]... was a man of strong emotions, who spoke out bluntly what he thought sometimes, perhaps without much regard for the feelings of others. At the same time I alwavs felt, and I think the Court always felt , that there was no malice in what he said, and that he had a very human heart, and was essentially a man of kind and friendly disposition, and 1 know we are all sorry that he should have been taken from us. He was one of the oldest, if not the oldest, of this Court, having joined the House of Keys in 1907, and with a short interval, having been in the Court ever since. Undoubtedly we shall feel the poorer now he has gone. That in the opinion of this House and in view of the present feeling in the Island concerning Lord Raglan and his government on the Island, it would be in the interests of the Island and for the good government of the same, that he should resign forthwith, and that an expression of opinion to that effect be forwarded to the Home Secretary by the Speaker of this House. Ambrose Qualtrough was a native of Port St. Mary, but carried on business in Port Erin as a butcher and, during the season, catered for the refreshment of visitors. From the records of Port St. Mary Life Boat we discover that he was a member of that crew and had the distinction of being on the very first official service of that station on the 21st October 1899. For many years he took an interest in Manx politics and in local affairs. 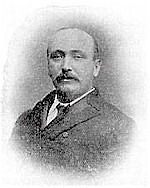 As a member of Port Erin Commissioners, Qualtrough gained a reputation for fearlessness and independence, one result of such fame being that he was elected to the House of Keys in May 1907, to fill the vacancy caused by the death of MR. WILLIAM QUINE, of Silverdale. I want to say I knew Ambrose Qualtrough all my lifetime. I have lived in the same village, I went to the same Sunday-school, and I have been influenced by the same people. I know that he was loved and respected by the people of Rushen, and it was because of that love and trust that he was returned so many times to represent them in this House. When Ambrose Qualtrough stood as a candidate in the House of Keys bye-election in 1907 he spoke strongly against the landlord system in the Isle of Man. He considered that Landlords had all the official positions. He opposed the sugar tax and thought something should be done to encourage the fishing and mining industries. He also advocated the levying of death duties and income tax. He would favour anything that would increase the travelling facilities of the visitors, such as running the railway alongside the pier. He strongly favoured the Ballot Act, believed that farm servants should be free from 1.00 p.m. on Saturday, that a system of old-age pensions should be enforced and that the Keys should be paid for their services. He was in favour of local opinion and for the House of Keys to have control of all financial matters. This manifest was popular and after his successful election he was carried shoulder high to the market place in Castletown. It was his lifetime support of these polices which brought him in conflict with Lord Raglan. His frustration at the Raglan policies clearly caused him much heart searching and for a Manx Patriot like him to move a motion in the House of Keys that the Island should be 'annexed' to Lancashire for the purposes of its National Government must have been an anathema, but he considered it the only way his constituents could gain parity with their counterparts in the United Kingdom. He had complained of Lord Raglan's unauthorised expenditure of many thousands of pounds on volunteers, and his unbending opposition to providing for old age pensions, health insurance and other social rights enjoyed by English people but not by the Manx. The 'one occasion' referred to was in 1915 when Qualtrough was prosecuted by Lord Raglan, as the Island's Military Authority, under the terms of the Defence of the Realm Act. Qualtrough was imprisoned for refusing to pay a $15.22 fine imposed by the High-Bailiff for 'spreading a false and alarming report'. Qualtrough was alleged to have spread a rumour in the south of the Island that 4000 aliens had escaped in Douglas and were looting shops. He later refused, when ordered by His Excellency, Lord Raglan, to say who he had heard the rumour from. Qualtrough served twelve days in prison in spite of a public petition to the Lieutenant-Governor for his release. It is reported that when he returned home to Port Erin he was cheered by a large crowd of constituents. The Kaiser is a very long way behind Lord Raglan so far as personal and unfettered power is concerned He is also backed up by somebody known as the Attorney-General. It seems that the Isle of Man is blessed with a Second Chamber, and I need not add that it backs up the quaint Governor and the comic Attorney-General. It is a body consisting entirely of paid officials. Really the isle of Man Second Chamber is the funniest thing of the sort there is in the world. There are eight officials, nominated for life - six nominated by the Crown and two by the Bishop - and three are a quorum. Again, the Governor must choose his executive - if he happens to want an executive, which is quite optional -from these nominated eight, and two of these people may constitute the whole executive. Sir W. Gilbert missed a chance by overlooking the magnificent tomfoolery of this Manx Constitution. First we have the august and illustrious Raglan, who can forbid the elected House from discussing any subject, or can jump on their decisions afterwards. In the second place, if he wants any companions to join him in his lordly fun, he can make an executive out of a couple known, I suppose as 'one chap' and 'the other chap', and then the three can have the time of their lives. Qualtrough used two expressions which very largely his contemporaries considered summed up the man himself His one question was 'How is the gorse looking this year?' and then, after some talk, he would speak some lines often quoted by him on political occasions in Rushen: 'Breathes there a man with soul so dead who never to himself hath said "This is my own, my native land" ? Here is the News. A Chronicle 0f the 20th Century, Vol. 1 1910 -1950, Mercury Asset Management 1999. Isle o/Man Examiner, 1st & 8th June 1907, and 12th June 1915. Isle o/Man Weekly Times, 15th June 1915. Kermode, David G, 0ffshore Island Politics, Liverpool University Press, 2001. Mona 's Herald 9th June 1915. Norris, Samuel, Manx Memories and Movements, Douglas, 1938. Port St. Mary Lifeboat Station Archives. Proceedings of the House of Keys, 26th May 1936. Proceedings of Tynwald, 12th May 1936. West, Margery, Island at War. The remarkable role played by the small Manx nation in the Great War 19 14-18, Western Books, 1986.